Trent Hawkins – Lead author of the Beyond Zero Emissions Buildings Plan, Trent will look at how householders can reduce electricity consumption and save money on power bills while reducing climate change impacts. Chloe Aldenhoven – Lock the Gate organiser Chloe Aldenhoven is working with communities in Gippsland and the Surf Coast who are fighting off the threat of fracking and unconventional gas extraction. Chloe will outline the environmental impacts this form of fossil fuel has had on farmers in Queensland and New South Wales. These are the impacts which have Victorian farming communities worried. Gwenda Allgood – Long-serving councillor for Ararat Regional City, Gwenda Allgood will speak about her community’s experience with a wind farm. The Ararat community is close to the Challicum Hills wind farm which has been operating for ten years. David Robinson – One of Melbourne’s community solar leaders, David Robinson of L.I.V.E. will outline his community’s plans for a solar system atop the South Melbourne Market and look at potential sites for similar projects in the Seymour region. VRI Hall, Seymour, Central Victoria – The Victorian Railways Institute Hall is next to Seymour Station, on the bus terminal side. If you’re a local, please download the Energy Futures Flyer, print it out and spread the word! 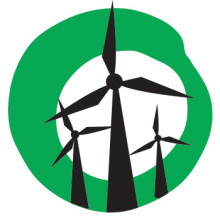 Help Yes 2 Renewables support local groups by making a donation.